The report found that towards the end of 2015, 40 per cent of the Indian children were undernourished. 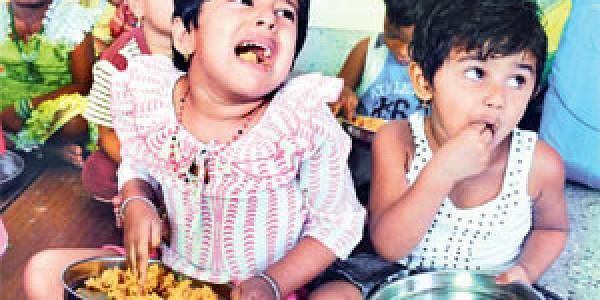 NEW DELHI: India is home to the largest number of malnourished children in the world, a report said today, advocating that the country needs to frame policies with a focus on reducing health and social inequities. "Over the decade (2005-15), there has been an overall reduction in the infant mortality rate and under-five mortality rate in India, yet the country is housing about 50 per cent of undernourished children of the world," said the joint study by Assocham and EY. On the other hand, it pointed out that urban India is faced with the challenge of over nutrition. India is ranked as the third most obese nation in the world after the US and China and also the diabetes capital of the world, with about 69.2 million people living with it as per the 2015 data by World Health Organisation, said the report. "About 37 per cent of our under-five children are underweight, 39 per cent are stunted (low height-for-age), 21 per cent are wasted (low weight-for-height) and 8 per cent are severely acutely malnourished," said the study. While the percentage of stunted children under five reduced from 48 per cent in 2005-06 to 39 per cent in 2015-16, the percentage of children who are wasted increased slightly from 19.8 per cent to 21 per cent, according to the report. Moreover, the prevalence of underweight children was higher (38 per cent) in rural areas compared to urban cities (29 per cent). "Only about 10 per cent children under the age 6-23 months were reported to receive an adequate diet. This inequality in access is accentuated by the stark state level disparity in nutritional status," observed the study findings. In the age bracket of 1-5 years, the prevalence of underweight children ranged from 42 per cent in Jharkhand, followed by Bihar, MP and UP with 37 per cent, 36 per cent and 34.1 per cent respectively, to 14.1 per cent in Manipur. The report found that the prevalence of stunting ranged from 50.4 per cent in UP to 19.4 per cent in Kerala. Arunachal Pradesh had the highest levels of wasting at 19 per cent and Sikkim had the lowest level with 5 per cent. "The policies need to focus on reducing health and social inequities within populations, raising educational attainment and providing WASH facilities as well as secured jobs to ensure access to services. Programmes and policies that aim to address this nutrition burden present a double-win situation," said the report in its recommendations. India continues to consume non-nutritious, non-balanced food either in the form of under nutrition, over nutrition or micronutrient deficiencies, according to the report. It said the availability of nutritious food in markets plays an equally significant role in motivating the community to make the right choices.